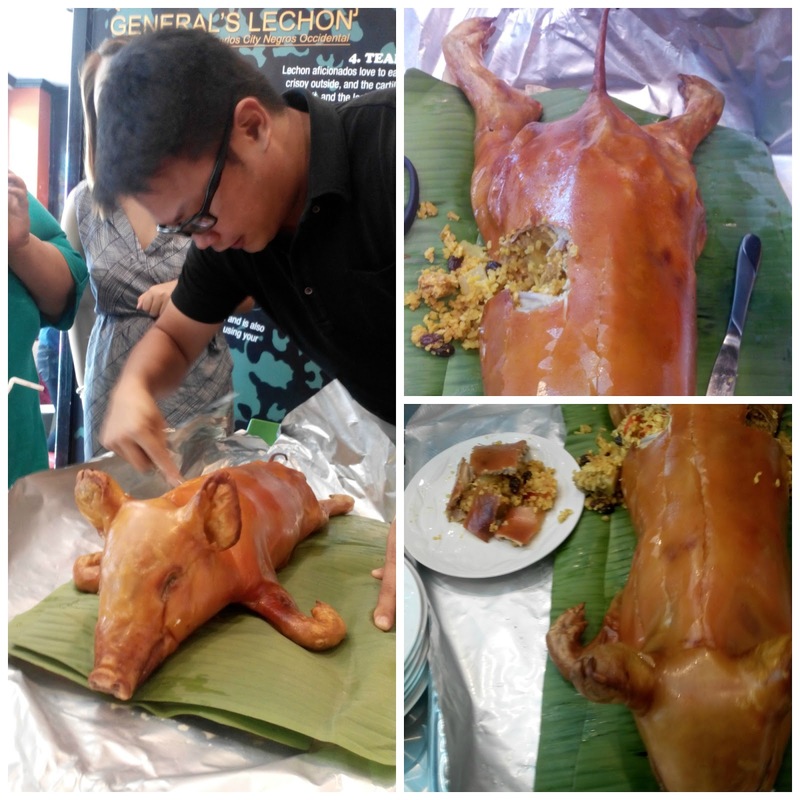 Lechon has always been part of Philippine grand feasts. This tradition grew out of the country’s Spanish influences and undeniably, the presence of roasted pig at any Filipino gathering instantly turns an ordinary gatherings to a grand fiesta. A lechon completes any get-togethers. Now, I discovered one that deserves to be on our tables this yuletide season. 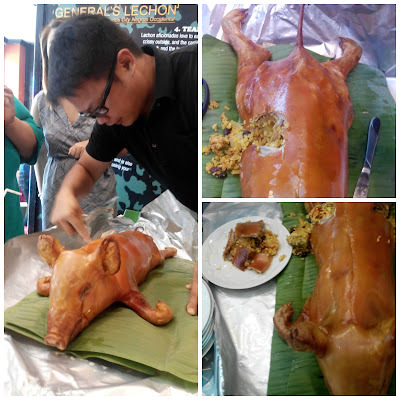 General's Lechon take on the traditional roasted pig is one of the best ever! General's Lechons are flavored. This Negros-style lechon comes in original, garlic, spicy-garlic and curry flavors. Each is roasted brown evenly and has a delicious, thin crunchy skin that cracks easily as you peel it off. The well-seasoned meat is moist and is wonderfully devoid of oil. My favorite was Curry Lechon. I didn't know that curry rice can make an equally delicious stuffing for roasted suckling pig. I took part of the delicious-smelling grub the moment it was brought in. The lechon tasted divine with curry rice! What started out as Lynette's fascination with the lechon flavor from San Carlos City in Negros Occidental (where Bryan Ong had his wife tried the best tasting lechon ever) and her feat to bring it to Manila has captured the Filipino’s distinctive taste. 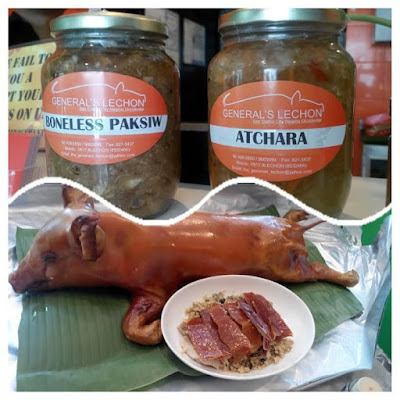 General's Lechon makes it own sarsa (smooth, sweet liver sauce), atchara (pickle made from grated unripe papaya) and vinegar sauce that is perfect for dipping. Mind you, their roast pigs do pretty well even without a dipping sauce. I suggest that you eat it without the sauce to see why their patrons keep coming back for more. The mark of the best lechon is how well you can do away without the sauce, they say. Over the years, the home-based lechon business by couple Brian and Lynette Ong has grown to include other products like Lechon Paksiw in jars and longganisa. 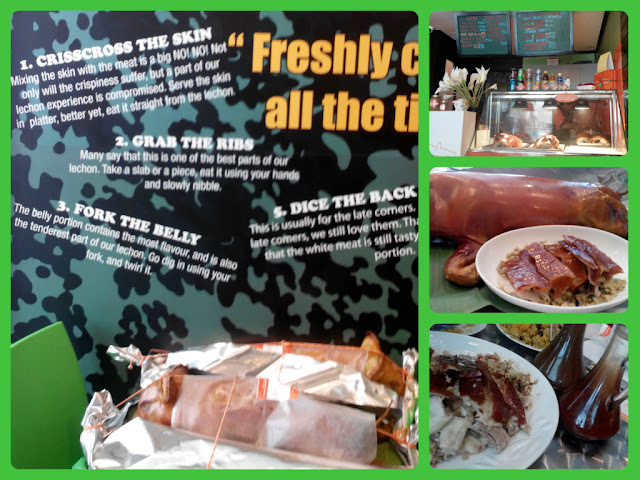 For times when you just want your lechon fix, you can dine in and have chopped lechon at their Arnaiz Avenue branch without having to order a whole pig. They also sell their flavored lechon in 1-kilo packs for you to take home. Wow Curry and Lechon in a single meal. That's something I'm gonna love. The skin looks so crispy! We love Lechon!